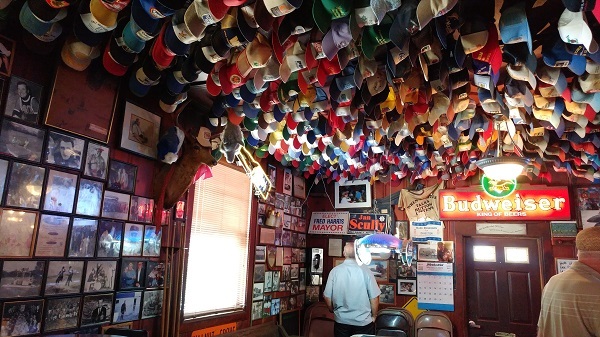 RIO VISTA, Calif. (CN) – An hour’s drive northeast of San Francisco lies California’s most important water source and the West Coast’s largest estuary. Stretching across 1,100 square miles and five counties, the Sacramento-San Joaquin River Delta and its dozens of manmade islands support a $5 billion agricultural industry and supply water to over 25 million Californians. But the Golden State’s endless thirst and population growth has the delta on the brink of ecological disaster, experts predict. Decades of overpumping, agricultural runoff and tepid water temperatures have nearly extinguished a once-booming salmon population and polluted water quality. Warning of rising sea levels and the need to fortify the delta against earthquakes, Gov. Jerry Brown is pushing wholescale changes to the state’s water savings bank. As Brown, 79, nears final approval of a $16.7 billion delta water project that could begin as early as 2018 and take more than a decade to build, delta farmers, environmentalists and residents remain skeptical. Brown’s critics are pushing back on a plan that would tunnel delta water around the estuary directly to the state’s southernmost mega-growers and eventually cities like Los Angeles. Just east of one of many movable bridges spanning the delta in Isleton is a quaint indoor/outdoor farmers market and the future site of Scheidegger’s 8,000 square-foot education center. Scheidegger, who attended the University of California, Berkeley, and has a doctorate in oceanography from Oregon State, wants to build a multimillion-dollar center and bring the delta’s extraordinary history to students and residents. Scheidegger says the delta is perpetually misunderstood despite being the heart of the state’s water system. He pointed to an alarming 2012 Probolsky Research poll that found more than 75 percent of respondents acknowledged knowing nothing about the delta. Now the hub of California’s state and federal water systems, miners and retailers used the delta during the Gold Rush to connect with the outside world. Steamboats began dashing from San Francisco in 1847 through the delta’s waterways to Sacramento, dropping hordes of supplies and optimistic new miners. As the Gold Rush wound down, luckless miners and entrepreneurs transformed the delta into an agricultural hotspot. Using mostly immigrant Chinese laborers, developers reclaimed delta marshes by building levees and dredging channels. The delta’s fertile soil funded the transformation and quickly responded with crops like tomatoes, rice, peaches, olives and grapes. Today there are over 1,000 miles of levees protecting delta islands and communities, some of which are below sea level. By the end of World War I, nearly all the delta marshes had been reclaimed under the federal Swamp Land Act. 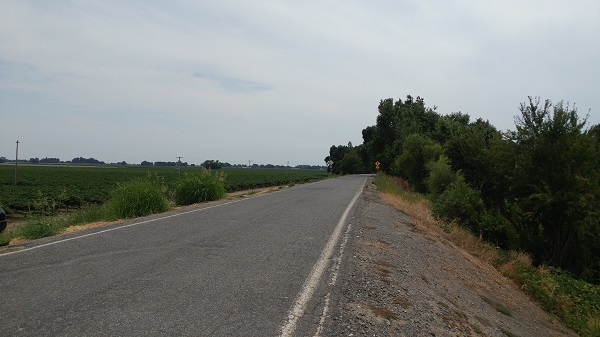 While delta farmers flourished, water-poor Central Valley farmers ran out of supplies. State leaders and the U.S. Bureau of Reclamation zeroed in on the delta, making it the focal point of the Central Valley Project. With five rivers – including the state’s two largest – draining into the delta, pumps and aqueducts were installed to bring water south through the Central Valley. The aqueducts, along with the companion State Water Project, supply delta water to 25 million Californians. About 30 percent of Southern California’s drinking water comes from delta deliveries. Since the State Water Project was completed 1973, the state’s farming prospects and population have exploded. But 40 years have passed, and Californians continue to use more water than the delta can provide. Once again, state leaders have turned to the delta in order to solve California’s water woes. The project, known as the California WaterFix, crosses party lines. Republican Gov. Arnold Schwarzenegger introduced the plan in 2009, and current Gov. Jerry Brown has since made the ambitious water infrastructure project a focal point of his final term. The proposed makeover would divert flows around the delta through a pair of massive, 35-mile tunnels. The re-plumbing will cost an estimated $16.7 billion, including $11 billion in bonds to fund capital costs. Brown appears to have the Trump administration’s support for the delta tunnels. In June, federal fisheries officials signed off on the project, saying that it could be completed without devastating impacts to native salmon and other endangered fish species. It still must be approved by the Bureau of Reclamation and the state’s water board. Critics and delta residents have blasted Brown for pushing a plan they say will have disastrous environmental impacts. Brown pursues tough climate-change policy while simultaneously plotting against the delta, opponents claim. 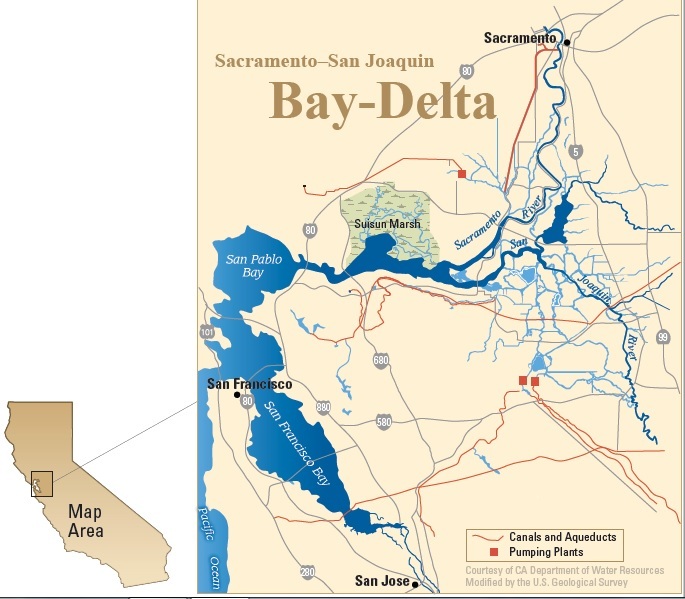 Bob Wright, senior counsel with Friends of the River and former California deputy attorney general, describes Brown’s plan as a “boondoggle” created by wealthy Central Valley farmers at the expense of everyday Californians and the delta’s fragile ecosystem. “Everyone else lower down the chain will get the shaft. This is yet another classic case of a giant boondoggle that helps out a comparatively few wealthy big-agricultural folks,” Wright said. The WaterFix proposal has united unlikely bedfellows: delta farmers and environmentalists. Both groups are firmly against the tunnels for similar reasons. 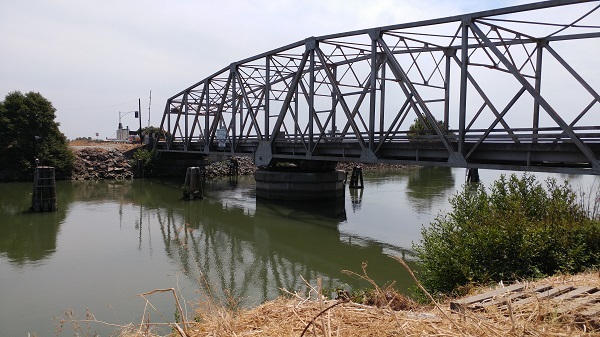 They worry that depriving the delta of flows from the Sacramento River will spoil water quality by allowing brackish water from the San Francisco Bay to creep deeper into the estuary. After converging with the American River in downtown Sacramento, the Sacramento River makes a sharp turn south and slinks slowly into Clarksburg. 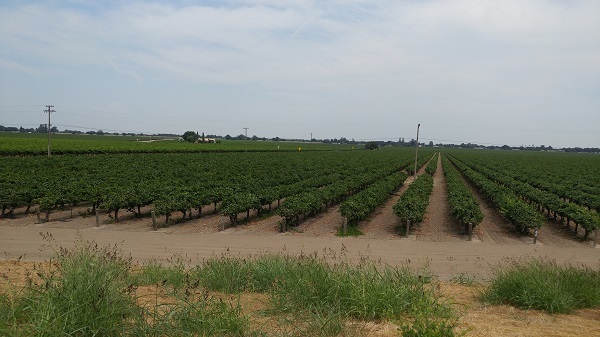 Previously known for its beet-sugar mill, the northern gateway to the delta is now a booming wine region that supports over 7,000 acres of grapes. Like the other delta farmers, Clarksburg wine growers for the most part oppose the tunnels. The twin tunnels would start pumping Sacramento River water just miles north of the productive growing region and could require area farmers to rely on groundwater during certain times of the year. Osha Meserve represents Bogle Vineyards – the region’s largest winery – as well as a host of northern delta farmers and reclamation districts. She paints the tunnels as a ruinous endeavor. The farmers agree that the delta has been mismanaged and that changes are needed, but not in the form of massive tunnels. They say their levees have never been damaged in an earthquake and that improving delta water quality should be the state’s focus. Meserve and others say they’ve been summarily ignored by WaterFix planners since 2009. Rather than focus on new wastewater recycling plants, stormwater capture and desalination options, they claim Brown and other decision-makers have paid only lip service to alternate suggestions. “Time has been spent discussing the concerns, but in terms of actually addressing them I don’t think that’s ever happened. That’s why we’re preparing to file a lawsuit,” she said. Perhaps the largest remaining hurdle for the state is persuading water agencies to pick up billions of the project’s estimated $16.7 billion tab. Planners want water contractors to pay for project maintenance and debt payments. Powerful water agencies, including the Metropolitan Water District of Southern California, are in the process of persuading customers that the tunnels are worth sharp rate hikes. In a board meeting Monday in Los Angeles, the water district called the WaterFix a “sound investment to maintain a reliable source of water” for its 6.2 million households. According to Metropolitan estimates, customers would see increases of $23 to $38 annually to pay for the tunnels. The water district is scheduled to vote on approving the rate hikes in September. Critics lambasted the nation’s largest municipal water provider’s latest financial estimates. “Metropolitan’s rosy picture omits the cost of their customers’ Tunnels water use. This is analytical malpractice of the highest order,” Tim Stroshane, policy analyst for Restore the Delta, said in a statement. University of the Pacific economist and McGeorge School of Law professor Jeff Michael said the financial estimates are speculative and rely on negotiations that are still being decided by the state. “Ratepayers, taxpayers and board members should be very uneasy about the way these issues are being deferred to the future,” Michael said in a blog post. Stroshane said Restore the Delta’s next target is the Santa Clara Valley Water District, which gets about 40 percent of its water from the delta. He helped write a letter to that water district’s board, urging it not to participate in the plan. Without wealthier water districts like Santa Clara and Metropolitan, the state will have to find other financiers to build WaterFix. A bipartisan group of state lawmakers from the region also opposes the twin tunnels. The lawmakers recently formed the California Legislative Delta Caucus and have called for Brown to nix the twin tunnels. Back in Isleton and moving through a PowerPoint presentation with his farm-calloused-hands, Scheidegger’s sky-blue eyes scan from the computer to his bustling farmers market. He wonders if his recent haul of delta-grown organic heirloom, cherry and marzano tomatoes will be a hit with customers. Regardless of whether outside interests decide to pay for the tunnels, Scheidegger says he will be around to talk and teach kids about the history of the delta.